We all have that person in our lives: the one who eats mostly plants, works out when everyone should really be sleeping, and complains about all the chemicals in everything, everywhere. 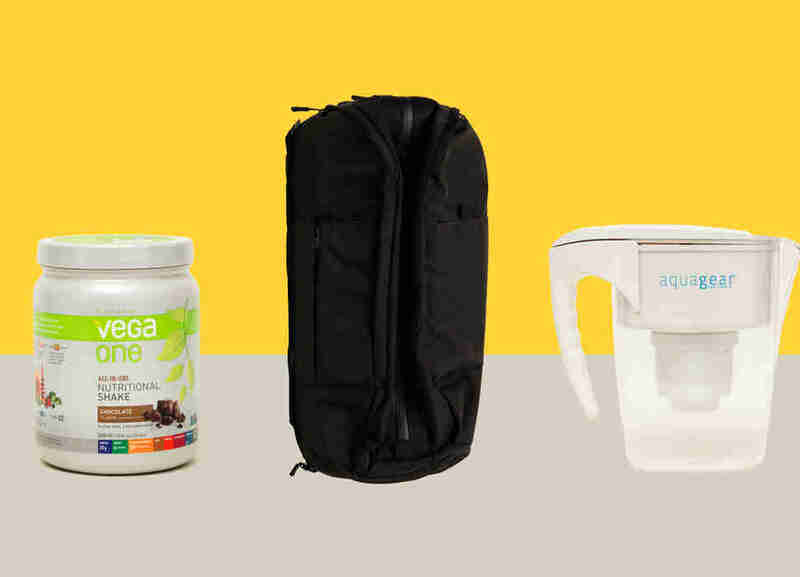 These wellness warriors are particularly difficult when the holidays come around, and their pickiness stymies you into buying yet another Amazon gift card. Not anymore! 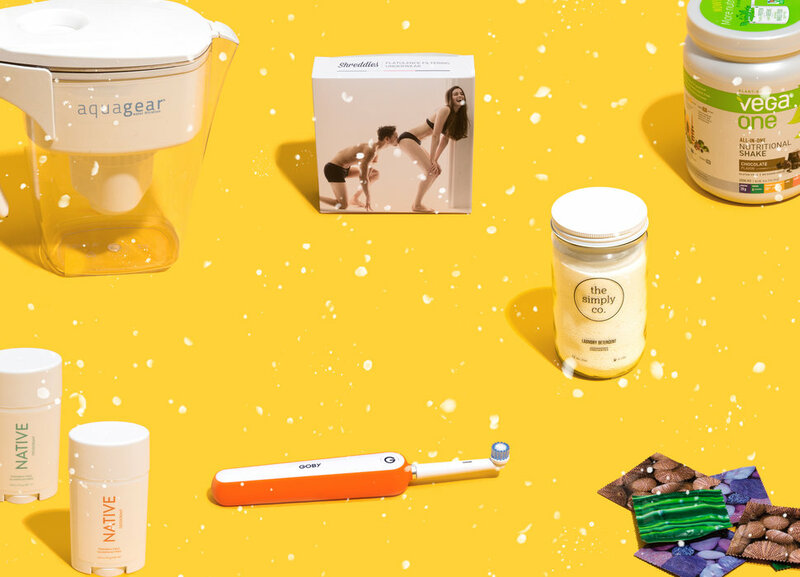 These gifts are perfect for the health-conscious loved one in your life. They may go over so well that you can skip the lecture on gluten at the dinner table. Your fascia is the most important body part you didn't know you had, and not taking care of it can lead to all sorts of chronic pain down the line. So how do you take care of it? Foam roll! It's the cheapest, easiest thing you can do to maintain your health, and it's perfect for that runner friend always complaining about how sore she is. Most condoms (usually) do the job they're supposed to, but they come loaded with chemicals, including carcinogenic nitrosamines. Considering the body parts involved, you may want a better option: Sustain condoms are certified Fair Trade, vegan, and free of fun stuff like petrochemicals and synthetic fragrance. 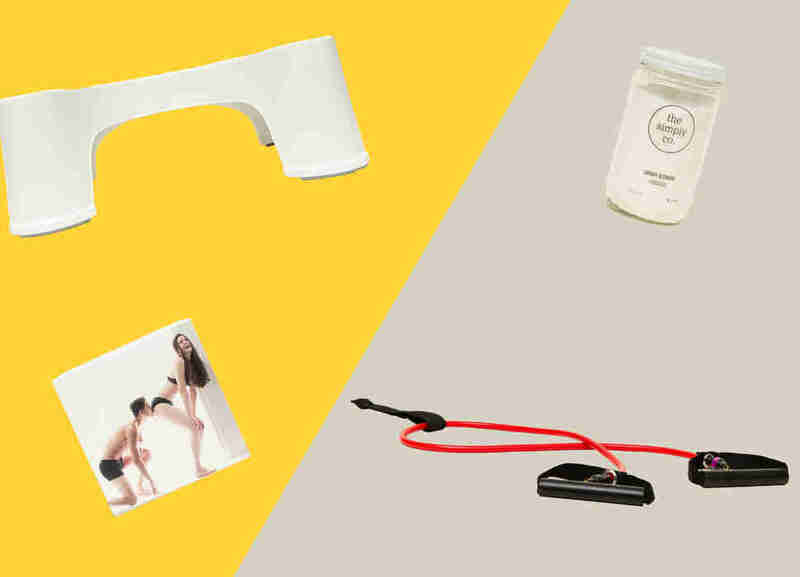 On top of it all, 10% of proceeds go to support women's health initiatives, so whether you're interested in a gift for yourself or a libidinous friend, Sustain is a cheap, healthy option to make sure no one gets pregnant. Conventional deodorant does a fine job of blocking up your pores and making you smell like chemicals rained down on a mountain spring, but more and more people are opting for all-natural versions to avoid aluminum and synthetic ingredients. 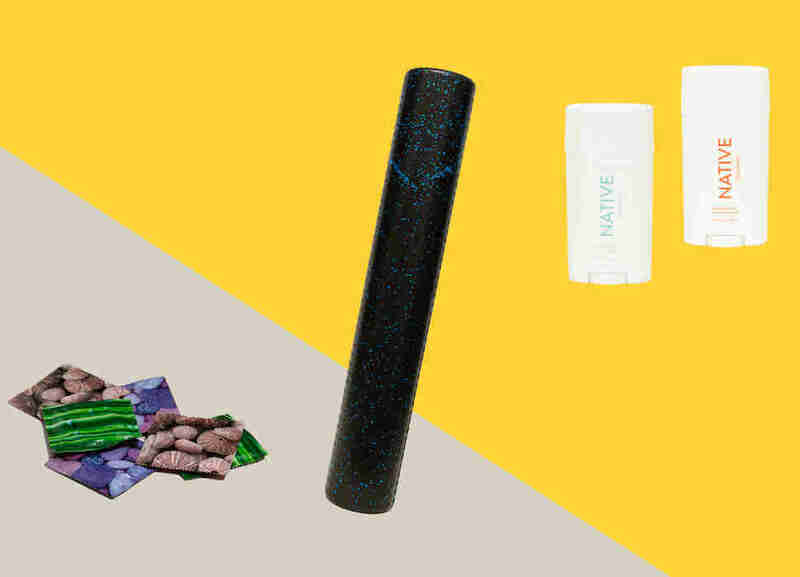 Native deodorant is free of all that junk you find in most deodorants, so you don't have to choose between smelling good and spreading chemicals all over your pits. The holidays are a booming market for gyms, which usually run their annual sales in December and January. Instead of shelling out hundreds for a year-long membership, give your loved ones the gift of resistance. Resistance bands, that is. You can get a killer workout with a good set of bands, and you don't need to leave your house to do it. Since they're so portable, you can even turn them into a traveling gym. SPRI's Xertubes are particularly durable, and you can mix and match resistances and accessories to personalize your gift. Speaking of chemicals, there's a growing movement to strip chemicals out of personal and home care products. There's a simultaneous movement to reduce the amount of plastic and waste Americans -- well, humans -- produce. The Simply Co.'s laundry detergent aims to take on both. Made with just three ingredients (plus essential oils if you want it scented), this laundry detergent is sent in recyclable glass jars and recyclable cardboard packaging. Even the packing tape is paper! The best part is that this stuff works, and with up to 60 loads in a jar, it's a great deal. The ultimate "I love you, but…" gift! If someone on your list (it's "for a friend," obviously) has a penchant for clearing out rooms, invest in a pair of Shreddies. These undergarments use an activated carbon filter to render farts nothing more than air, which truly is the gift that keeps on giving. Naturally following farts is poop; sorry to say, you've been pooping wrong your entire life. The Squatty Potty is here to fix it. While porcelain thrones are luxurious and all, they don't exactly situate your anatomy in the optimal position for excretion. The Squatty Potty readjusts your positioning to make pooping easier… and more fun! If there's one thing literally EVERYONE could use, it's water. While plastic water bottles are convenient and ubiquitous, it's common knowledge that they're wasteful, and that plastic probably isn't too great for you to boot. The best way to drink water is by filtering your tap, and the Clearly Filtered water bottle's built-in filter means you'll have access to clean, pure water wherever you are. Even outdoors -- the filter is good for any freshwater source, in case you find yourself in an Into the Wild situation. Do you hate buying replacement heads for your toothbrush? Of course you do, you're a human, after all. Goby takes care of the most annoying aspect of owning an electric toothbrush, offering free shipping on a subscription to new bristles. Give someone the gift of good oral hygiene, and they'll thank you with a cleaner, whiter smile, and hopefully decent breath. There's nothing better than a craft, especially if it's a craft you can drink. 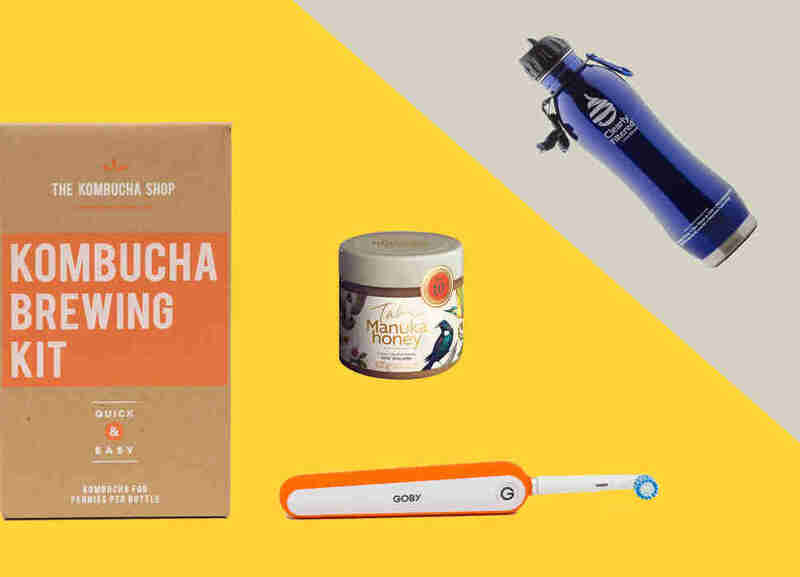 The Kombucha Shop's Kombucha Brewing Kit includes everything you need to brew the trendy drink, including the all-important SCOBY, which gives you the good bacteria your microbiome so desperately needs. And since you'll have the raw materials to start a lifetime of kombucha brewing, you can stop shelling out $5 a bottle at the store. Manuka honey is as close to a magical food as you can get, equally capable of clearing up digestive troubles and remedying a cough as it is healing infected wounds. It's honey, too, so you can spread it on toast, if you like, but its powers don't come cheap. That's what makes it a perfect gift, especially if you have a family member who's always making her own healing facial masks. Tahi is particularly special: its honey is raw, carbon-neutral, and it actively works to preserve the environment, especially important because manuka honey is made from bees that only feed on the manuka tree. Whether you like to admit it or not, eating piles of meat isn't the healthiest dietary decision a person can make. If someone you know is trying to cut back on meat, but is in a tizzy over whether they'll get enough protein, Vega One is an ideal gift. It's got pretty much everything you need: plant-based protein, probiotics, fiber, greens, omega-3s, protein, and… did we mention protein? There are seven flavors, too, so you're bound to find something appealing. Seventy bucks for a water filter?! Yes, and worth every cent; the Aquagear filters nasty chemicals like lead and chromium-6 and bad thoughts, whereas the Brita's filtration system basically just makes your water taste better. Since it can get annoying to sip out of a filtered bottle while you're at home, keep the Aquagear pitcher around for lead-free water at all times. A nice bag is one of those gifts that doesn't seem exciting at first, but you come to appreciate more and more over time. The Aer Duffel Pack is functional and stylish, offering a separate carrying space for your nasty gym shoes AND a padded slot for your laptop. It's a perfect combination of gym bag and backpack, making it ideal for everything from daily use to a weekend getaway. Thrillist Health is your source for nutrition, fitness, and all things health.